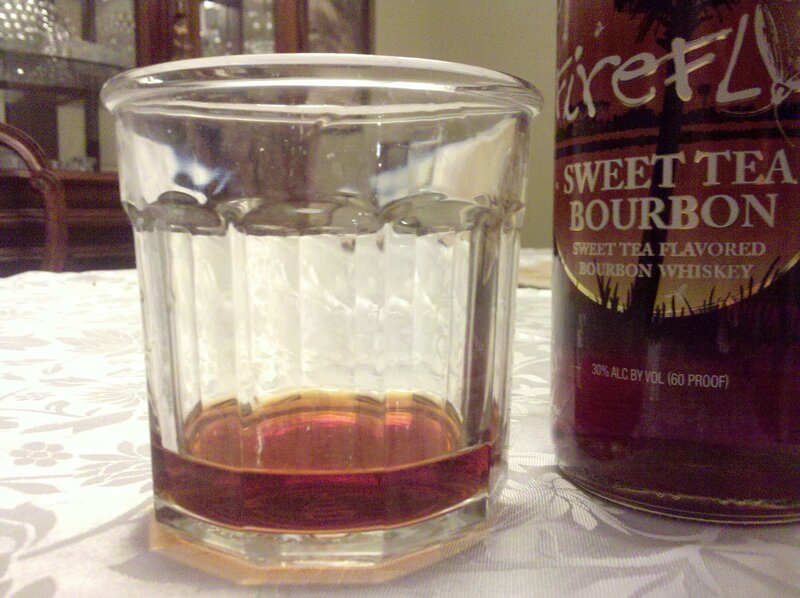 Having my first taste of the new Firefly Sweet Tea Bourbon from the makers of the Firefly Vodka and I’m giving you all the review below. A lively, fun flavor for a Spring and Summer sipper. I like what they’ve done here. Firefly Distillery Co-Founder Scott Newitt told me during our interview earlier in the week that this would make nice twist on a Mint Julep in place of the Bourbon in your mint julep recipe. I agree. And due to the sweetness, you could cut out about half or more of the simple syrup. 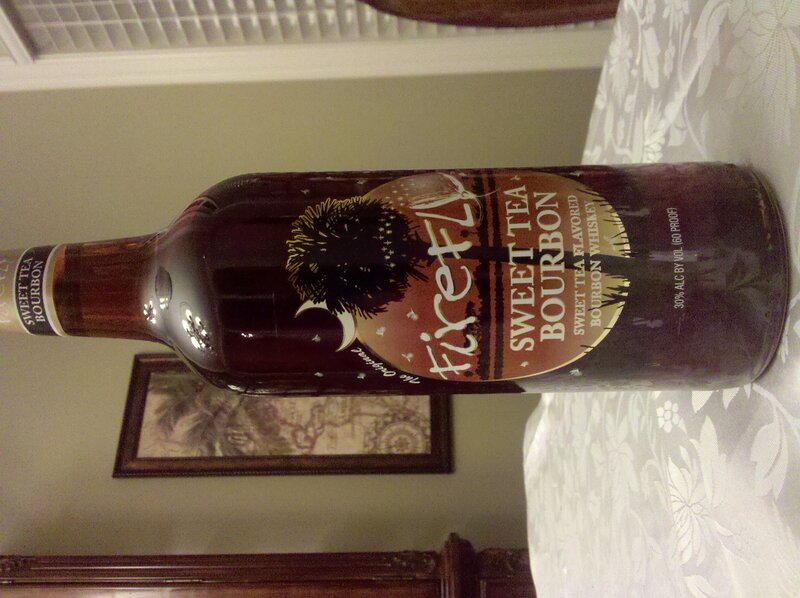 Notes: Firefly Sweet Tea Vodka has taken the country by storm and this new Firefly Sweet Tea Bourbon is being produced by Firefly Distillery in South Carolina and their joint venture partners at the Buffalo Trace Distillery in Kentucky. Taste: For most Bourbon reviews, I have benchmarks and other whiskeys to compare it to. With this new product. As the Sweet Tea and Bourbon compete for my tastebuds, I get a definite powdered sugar flavor combined with light hints of milk chocolate. On the back-end, the Bourbon shines through briefly and then becomes a light sweet swallow. The sugar is not overpowering; it is well-balanced and well-thought all the Firefly products I have tasted. Finish: . Delicate sugar coated tongue, again powdered sugar. The sweetness of the overall spirit doesn’t stay heavy in the mouth nor the stomach as some of the other new “Bourbon -infused” products do, great job Jim Irvin and Scott Newitt! 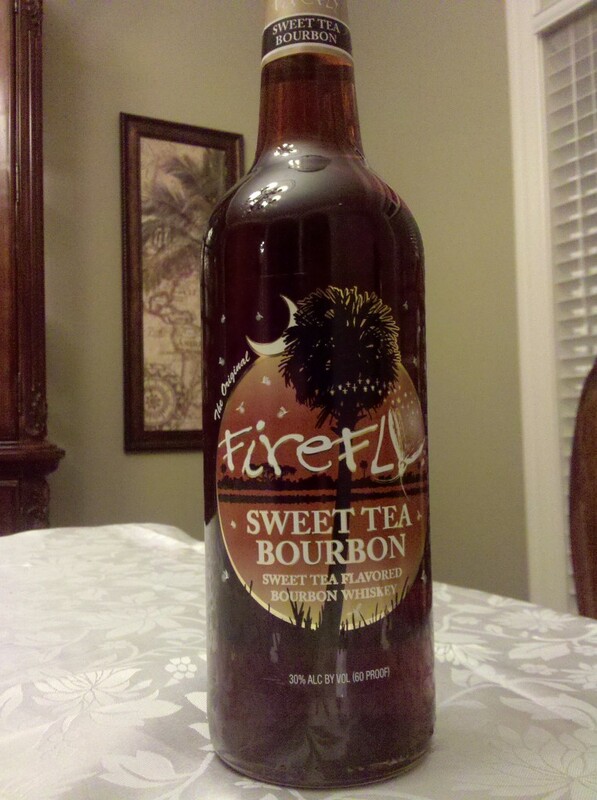 Read the Firefly Sweet Tea Bourbon story and interview with Firefly Vodka Distillery Co-Founder Scott Newitt on this link. Review by Tom Fischer. I had this last night for the first time and loved it. Just a little over ice with a lemon slice is just fine. It’s a little sweet for me to have more than one or two, but I also tried it mixed with some unsweetened chai tea and it made for a real nice summer sipper. Superb report,Maybe I might sign up to your rss. Is Your Body Telling You To Detox?